A military SF series with techno thriller, horror, and intrigue elements, all very cyberpunk in their own way. It's the introduction to the On the Brink universe. World peace can be deadly. Humans discover alien technology and start colonizing worlds outside the solar system. Genetic modification produces miracles. Science advances the human condition. And, for the first time in history, the nations of the world have achieved real peace with each other. But only the elite truly benefit from all the advancements. Most people are still trapped on an Earth ruined by chemical pollution, nuclear accidents, and chaotic weather changes. Rebellious "genies"--genetically engineered servants--cause more harm than good. And global corporations have stripped the idea of nations and freedom of any real meaning. Sergeant Jack Rimes is no stranger to intrigue. The U.S. Army Special Forces operator lives in a time where every nation on Earth is at peace… but there are plenty of secrets to go around. As corporate greed threatens humanity, genetically engineered humans are making international mayhem of their own. 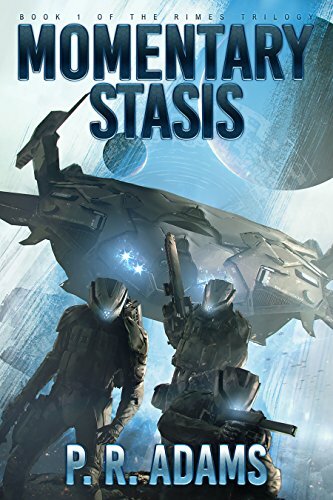 Momentary Stasis is the first book in a provocative series of grimdark military sci-fi novels full of intrigue, horror, and action that unflinchingly explores the impact of technology and unbridled greed on humanity. If you like gritty, flawed protagonists, tech-heavy thrillers, and incredible new worlds, then you’ll love the first installment from PR Adams’ provocative new series. Trouble doesn't wait until you're ready. Jack Rimes foiled the genies' plot to steal the United States' space fleet, but he made a powerful enemy. Now that enemy is back, and it's looking for revenge. The global order is transitioning to a new state, and with change comes extraordinary pain. Militaries across the world are being reduced in size, with no thought about what it means to have millions of unemployed soldiers and no future prospects. At the forefront is the United States military, which has been forced to cut into operational readiness at an unprecedented rate. Worse, the military leadership still has its eyes on fighting old wars--armor, aircraft, and ocean-going vessels. But the new battleground is in space, and only Rimes understands this new paradigm. 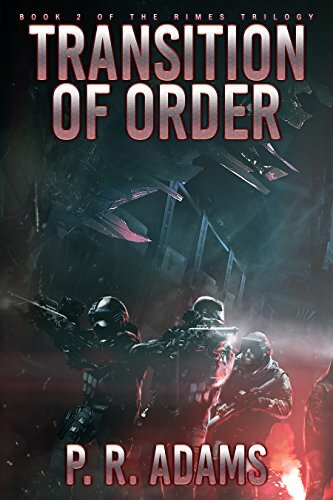 When the genies stage a coup that nearly causes the collapse of the new world order, it falls on Lieutenant Jack Rimes to lead the hunt with his Elite Response Force. Aided by the Intelligence Bureau's own secret weapon, will Rimes's vision and determination be enough to stop the genies from their genocidal quest, or will their plan to destroy their creators come to fruition? What do you do when everything you love is taken from you? Before the genies fled human space, they tested Jack Rimes. He survived their attacks and became stronger. Now the real enemy has been revealed, and it's more inhuman than the genies ever were. The metacorporations fled Earth when the United Nations cracked down on labor abuses, pollution, and playing one nation against another. But the metacorporations need Earth and the colonies to survive, so they've come back. With a vengeance. Rimes has seen cold-blooded warfare before, but the metacorporate soldiers--encased in synthetic bodies--have lost any connection with humanity. Their tactics are horrific, their willingness to commit atrocities boundless. And with Rimes, they push too far. What will he do once he has no reason to live? What will be his judgment? How does an honorable man survive in a corrupt world? Jack Rimes is a good person caught up in a grim and dark future where galaxy-spanning corporations exert terrible influence over governments. Technology improves the lives of the elite, but things have never been worse for the average person. The options are limited for those who still live on an Earth devastated by economic, industrial, and ecological calamity. Those desperate enough flee to the colony worlds. Anyone looking for a chance at something more than abject poverty pursue a military career. Rimes is a Commando, a special forces operator who does the dirty work to maintain a fragile global peace, but the strain on his family is devastating. His rise through the ranks only exposes him to more of the dark secrets kept from the general populace. 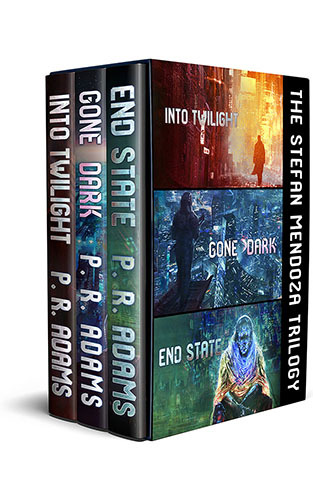 Now collected into a boxed set, the trilogy is an introduction into a gripping universe. 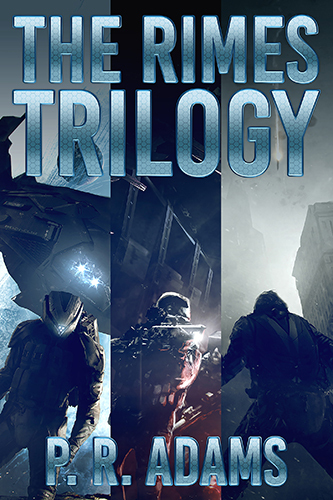 Buy The Rimes Trilogy now, and step into this intriguing universe! A cyberpunk thriller series that comes before the Rimes Trilogy and introduces the On the Brink universe. He does the government’s dirty work. When he’s double-crossed by one of his own, he’ll stop at nothing to take out the trash. Korea, 22nd Century. Surrender isn’t in Stefan Mendoza’s DNA. So when a traitor betrays his black-ops team, he alone pushes through the torture and escapes with revenge burning in his mind. On the verge of a systems failure, he taps into his underground network for a set of cybernetic limbs. But his high-tech recovery comes at a heavy price— an assassination hit on a rising political star. Filled with resentment for the cutthroat world of contract killers, he uses the hit job as a cover to track down the traitor. When he discovers he’s competing with other assassins for the same political target, he starts to piece together a sinister conspiracy that could lead him straight to the shadowy figure behind his betrayal. Trapped within a hotbed of corruption, can Mendoza exact his revenge and win his freedom or will he spiral deeper into the twisted game of brokered death? 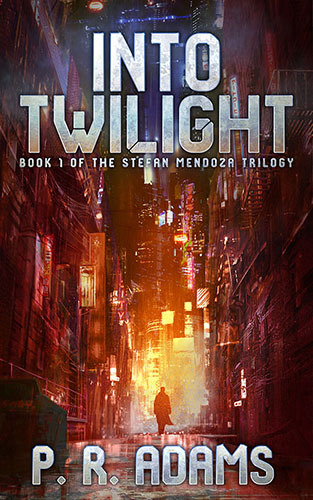 Into Twilight is the first book in The Stefan Mendoza Trilogy of high-octane cyberpunk techno-thrillers. If you like street-smart soldiers, complex conspiracies, and immersive sci-fi settings, then you'll love P.R. Adams noir-style page-turner. Buy Into Twilight to take a walk on the dark side of justice today! Wounded. Alone. Wanted for a murder he didn't commit. Stefan Mendoza is a broken man. The last thing he cares about now is revenge against the people who betrayed him. All he wants is peace. To hide out, he returns home to a town that seems isolated from the world collapsing around him. But can he really escape the world of the Agency? Can anyone ever really go home again? 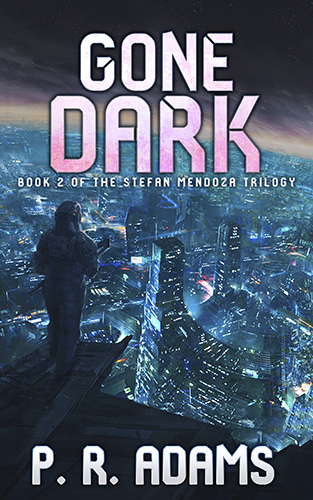 Strap in for Gone Dark, and get started on this unforgettable, fast-paced cyberpunk thriller. In espionage, there are only two types of agents: active and dead. Stefan Mendoza tried to walk away from the business, but the Agency wouldn't let him. The Metacorporate Initiative has changed the world, and his bitter enemy has thrown in with one of the biggest of the new corporate powers. The race is to rebuild the recently destroyed AI has put a premium on elite software architects. If Mendoza can wrangle the most coveted architect team, he'll make enough to disappear forever. But can he allow someone to recreate the AI that wants him dead? Pick up End State to see the thrilling conclusion to this cyberpunk trilogy! Stefan Mendoza spent his life doing the government’s dirty work until he was double-crossed by one of his own. When a traitor betrays Mendoza's black-ops team, only he can push through the torture and escape. But he has to put dreams of revenge on the back burner, because the world has changed while he's been out of circulation. To survive, he must tap into his underground network. Mendoza's quest for vengeance pits him against assassins of every stripe. He quickly discovers that relying on the trust he spent decades building could be fatal. Betrayal, corruption, and a labyrinth of conspiracies threaten not just his quest for revenge but his chance at winning his freedom. 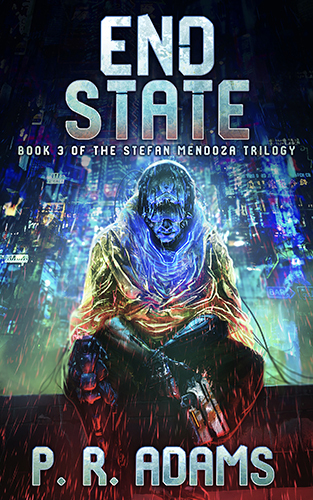 The Stefan Mendoza Trilogy is a high-octane cyberpunk techno-thriller you won't easily forget. Complex conspiracies and intrigue combine to make an immersive, noir-style sci-fi world. Pick up this series and take a walk on the dark side of justice! A military SF series with techno thriller, horror, and intrigue elements, all very cyberpunk in their own way. The follow-on series to the Rimes Trilogy and part of the On the Brink universe. The Elite Response Force won the Metacorporate War. Now ERF interim commander Captain Lonny Meyers leads the battered unit. Their first mission: apprehend former SunCorps CEO Chad Milton Waverley, the architect behind the war. 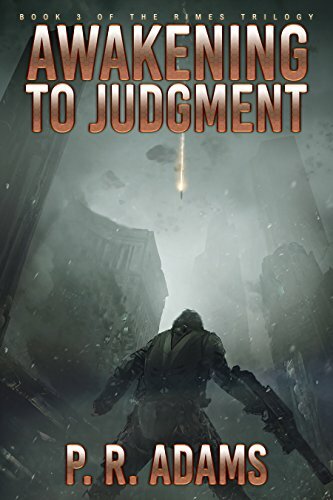 The hunt takes Meyers and the ERF to Turning Point, a powder keg of a city on a frontier colony world far from Earth, run by a strongman armed with military-grade weapons systems. With limited resources and a mandate to not endanger relations with the frontier colonies, Meyers must locate Waverley before time runs out. But there’s more to Turning Point and Waverley than anyone could have expected, and it may spell the end for the ERF. 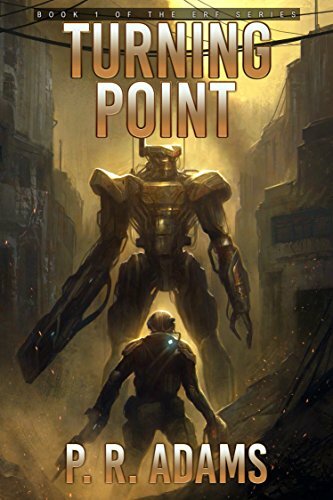 For action-packed, high-octane military science fiction, pick up Turning Point today! Bring fugitive war criminal Chad Milton Waverley to justice or be shut down. That’s the mandate facing Colonel Lonny Meyers and the Elite Response Force, and time is running out. 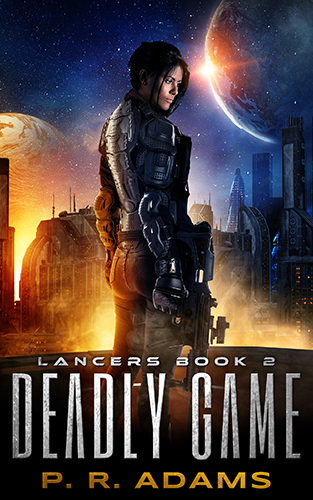 When a tip falls into Meyers’s lap that a huge mercenary army is building up on an unoccupied planet—exactly the sort of defense that would be needed to protect Waverley—there’s no other option but to commit the depleted ERF. To survive, they desperately need reinforcements and systems upgrades. Instead, the United Nations sends Priya Timkul, a Special Envoy who appears to have her own agenda. Her "assistance" only makes things worse. And as problems and casualties mount on the mission, Meyers comes to the realization that the greatest threat to the ERF might be him. 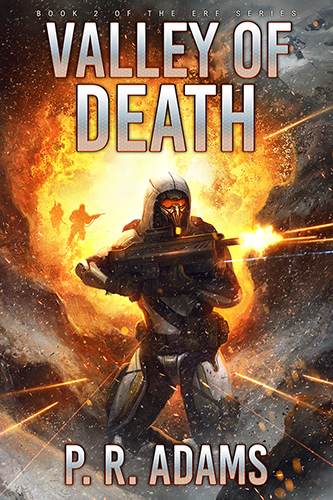 Pick up your copy of this action-packed book today, and follow the Elite Response Force into the Valley of Death. Everything has changed for Colonel Lonny Meyers. When the Elite Response Force was nearly wiped out on the remote planet Siberia, he discovered something completely unexpected: an AI. 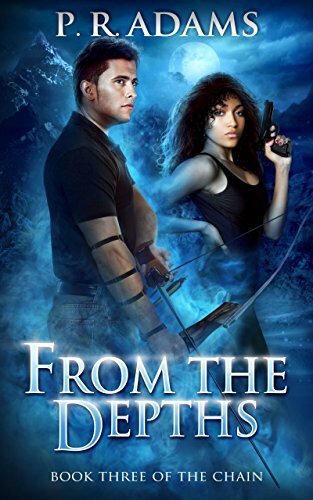 Now Special Agent Dana Kleigshoen has come to him with a new mission, one that will take a select group far away, on a hunt deep into the gloomy landscape of a distant world. Their objective: an enemy intent on wiping out all humanity. Will Meyers and the ERF succeed, or will they be lost forever in the darkness? 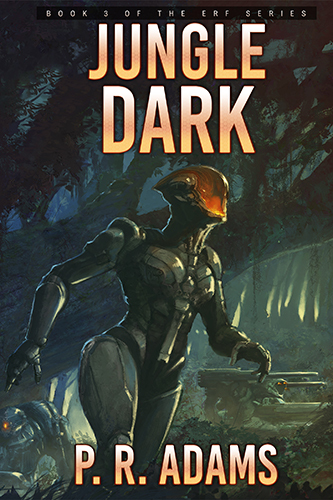 Action and intrigue await in the military science fiction thriller Jungle Dark. The war against the SunCorps AI has begun. Hours ago, Colonel Lonny Meyers found himself in a new type of war. It was a war where the Elite Response Force was pitted against an intelligence far greater than any of them could comprehend. It was a war to save humanity from obsolescence. And it was a war he was losing. Now Lonny must work with an entirely new group of personnel to destroy a shipyard the AI has been using to create a fleet to rival anything Earth can launch. But a traitor puts the mission in danger of failing before it even begins. 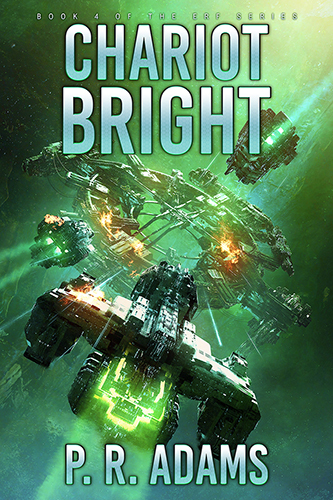 Chariot Bright: A unique military science fiction thriller you won't forget. It's the final battle for survival. Once again, Special Agent Dana Kleigshoen has embroiled the Elite Response Force in the struggle against the AI that's been trying to wipe out the human race. But the AI isn't the only enemy Colonel Lonny Meyers has to contend with. In fact, he can't be sure who to trust as factions shift and truths become lies and lies become mysteries. As if that's not enough, his sanity is threatened by the awareness transfers that are necessary to combat a galaxy-spanning enemy. 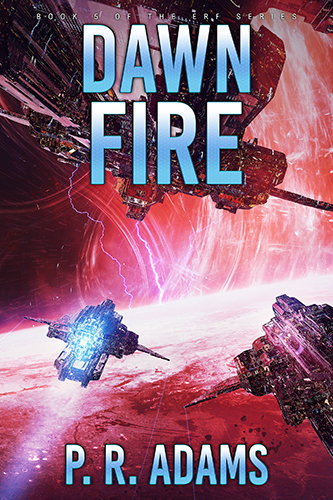 This mind-bending military science fiction epic concludes with the thrilling DAWN FIRE! Bounty hunters and mercenaries operating on the deadly fringes of space. No problem has ever been too big for Mariana. Until now. 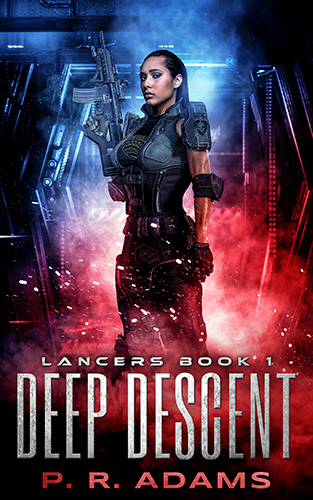 When religious fanatics take control of a town on a frontier colony world, Mariana’s team of Lancers must try to rescue the only person who can bring back order. Lies, schemes, and dark secrets quickly put Mariana to the test. When she discovers the web of intrigue behind her hiring, she realizes that no one can be trusted and that the mission is untenable. But she has reasons of her own for taking this job and can’t just walk away. Can Mariana uncover the truth behind the strange goings on, or will her own secrets be her undoing? A post-apocalyptic series set in a failing world where efforts to save mankind have gone terribly awry. 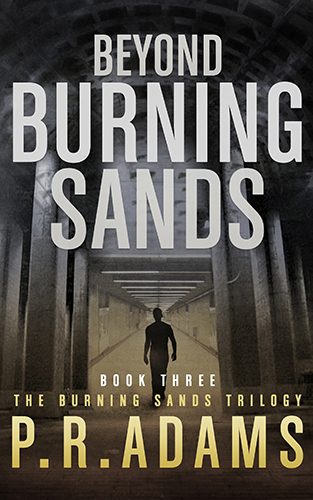 Pick up your copy of this suspenseful post-apocalyptic tale and see what lies Beneath Burning Sands! For Reggie Lee, surviving fifty years in suspended animation was the easy part. Waking to a new world could very well be his death. On this tortured earth, humanity is gone, wiped out by war, replaced by Cro-Magnons and something known as sharpteeth. But questions remain about the world outside: Who created these cavemen and sharpteeth? What caused the war? Are there any humans still alive? Reggie must survive the harsh desert if he wants the answers that await him in the ruins of Las Vegas. 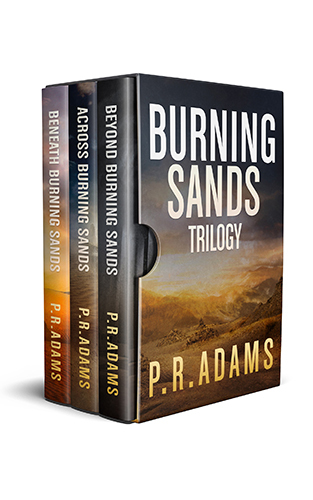 Get book two of this thrilling post-apocalyptic series and see what dangers lie Across Burning Sands. The deadliest hunter is human. Reggie Lee has survived the nightmarish, genetically engineered horrors of Cro-Magnons and sharpteeth that ruled the ruins of Las Vegas. Now he must face the greatest threat of all: another human. Snake is a former rival from the world before the cataclysm, and he has declared war on all other humans. To survive, Reggie must find more answers, because fighting Snake will require a strength Reggie might not have. But if he can't stop Snake, humanity truly is doomed. 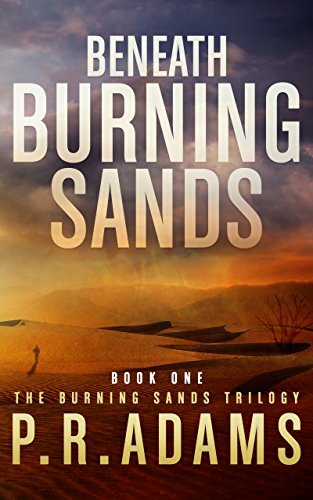 Read book three of this horrifying post-apocalyptic series and see if you can go Beyond Burning Sands. Sometimes, waking is worse than the nightmare. Earth is dying and humanity's only hope of survival will be somewhere among the stars. When Reggie Lee joins defense contractor Frontierza, the company's work on advanced hibernation technology for sleeper colony ships seems the perfect career starter. He has the opportunity to lead the first team to test the technology in a month-long cryogenic sleep. But the world Reggie wakes to is nothing like he expects. It's a world where life is cheap and only the strong survive. 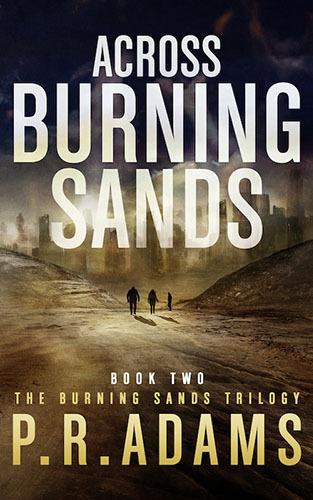 Pick up this exciting post-apocalyptic trilogy today, and see this new world of Burning Sands. The Chain is a twelve-book supernatural suspense/magical realism series, also taken from my previous comic book concepts. 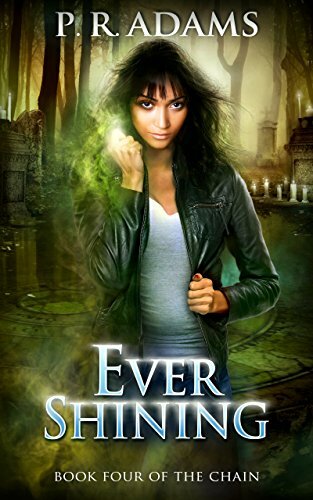 This series should appeal to readers who enjoy contemporary fantasy and horror. It follows the story of Elliot Saganash and Tamment McPhee, two young heirs to a destiny neither wants. Elliot Saganash and Tammy McPhee are special. Descendants of shamans and trained in mysticism, they are the hope of the future for their guardians, the Elders. But neither Elliot nor Tammy wants any part in what they see as hokey nonsense. When Elliot decides to return to Manitoba to attend college, Tammy feels abandoned by the one person who had always been there for her. She runs away from the Elders rather than be left alone with them in the creepy old place they call home. But tragedy brings both teens back to the place they abandoned, and they soon discover that what they thought were silly old beliefs were actually real all along. While Elliot struggles with his identity and the uncomfortable realization he might have been wrong to dismiss his destiny, Tammy struggles with her own identity and the challenges facing any young woman. Before long, they realize that they must learn to use the magic they scorned if they are to have any hope of surviving the ancient powers that want them dead. 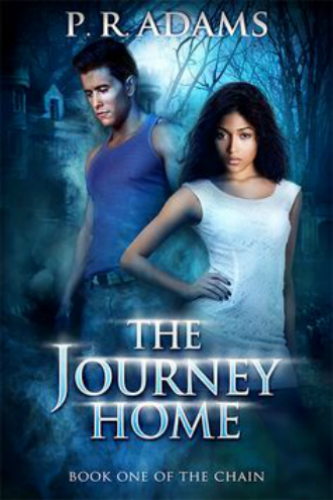 Buy The Journey Home today, and begin this thrilling urban fantasy series full of action and suspense! What will be your salvation? Just when Elliot Saganash starts to bring his life under control, his onetime best friend Tammy McPhee steps back into the picture to tear it all apart. Elliot's time as a student at the University of Manitoba has been stressful, to say the least. A new girlfriend, too much coursework ... it's all overwhelming. And then Tammy calls to tell him she's out of juvenile detention and returning to Harrison Mansion, the home they shared with the Elders before an ancient spirit changed everything. After what happened the last time Tammy was alone there, Elliot knows he must return to the mansion for a showdown with her. But convincing Tammy to move out isn't easy, especially when all she wants to do is fight. 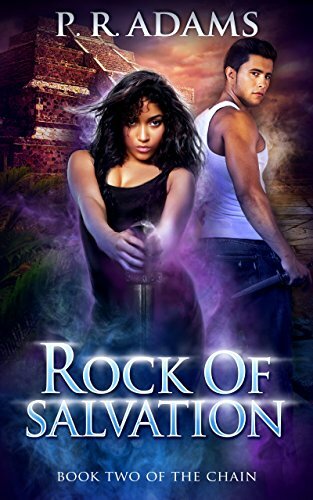 Things only get worse when mystic writing appears on a wall in the mansion, and Tammy calls in an archaeologist for help. When Elliot's girlfriend flies in from Manitoba for her own showdown, things quickly spiral out of control. Pick up the second book in The Chain series now, and fall into the urban fantasy world of spirits that delivers action and suspense galore! Be careful when you look into the past. When Elliot Saganash and Tammy McPhee agreed to carry on the work of the Elders, they had no idea what they were getting into. Ancient powers—gods—and their human allies wiped out the Circle, leaving only two teenagers to carry on. Now Elliot and Tammy find themselves over their heads and sinking even deeper. Their first objective: restore Harrison Mansion so that they can begin recruiting other shamans from around the world. But a chance discovery leads to unexpected good news: There might be an Elder alive in the world, one who left before the massacre that killed the others. As Elliot struggles to overcome the losses he has suffered, he realizes he may not be able to do the one thing he was meant to do: protect Tammy. And Tammy has problems of her own, starting with a possible pregnancy. If that weren’t enough, Yuki returns. But is she ally or enemy? Pick up the third book in The Chain series, and dive into the world of spirits and magic, action and suspense! In the darkest times, the strongest light shines. Tammy McPhee has survived vampires, ghouls, giants, and a Wendigo. Now she has to survive the loss of her best friend. Elliot Saganash was killed by a druid and his mysterious tengu allies, and his death has left a hole in her heart. To make matters worse, she’s pregnant with a child she wasn’t ready for, and her role as the only surviving Elder means she must start taking in new students. But the Circle’s enemies aren’t content to leave Tammy alone. Even diminished, the Circle is always a target. When the FBI reaches out to Tammy for help in a mystery in Baton Rouge, LA, Tammy has no choice but to lend a hand. And when she finds herself threatened by another shaman and its deadly servant, Tammy finds herself completely over her head. To protect those she loves, she must find the strength to be a beacon of hope rather than a bringer of darkness. Read book four in The Chain series, and explore this terrifying, action-packed, mystical world! Elliot and Tammy only want to escape their destinies. Blessed with great power but cursed with the impatience of youth, they know there’s more to the world than the ridiculous studies they’ve been exposed to for half their lives. And nothing represents the foolishness of those studies better than the chain necklaces that supposedly magically protect them and bind them to their home. Because who really believes in magic? When they lose the people who had been their only family—a disparate group of mystics known as the Circle—the youngsters must set aside their differences and work together to create a home for those who will one day replace the fallen. But the Powers—the mysterious sorcerers who destroyed the Circle—won’t rest until everyone standing against them is dead. They are unrelenting and merciless, using terrible magic to send powerful ancient spirits such as the Wendigo, cihuateteo, and rakshasi against their enemies. To survive the Powers and their allies’ horrifying attacks, Elliot and Tammy must regain the lost knowledge of the Circle before time runs out. For a suspenseful trip through the supernatural, grab hold of The Chain: Shattered!